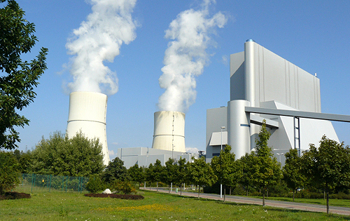 Schwarze Pumpe, a pilot thermal power plant south of Berlin that captures and stores carbon emissions, a method whose effectiveness experts doubt. VANCOUVER, Feb 19, 2012 (IPS) – Contrary to popular belief, humans have failed to address the earth’s worsening emergencies of climate change, species’ extinction and resource overconsumption not because of a lack of information, but because of a lack of imagination, social scientists and artists say. At a conference for theAmerican Academy for the Advancement of Science(AAAS) here in Vancouver, British Columbia, experts argued that the path to a truly sustainable future is through the muddy waters of emotions, values, ethics, and most importantly, imagination. “We live in our heads. We live in storyland,” agreed John Robinson of UBC’s Institute for Resources, Environment and Sustainability. This imagining will be complex and difficult. Sustainability encompasses far more than just scientific facts – it also incorporates the idea of how we relate to nature and to ourselves, he said. Because human decisions and behaviour are the result of ethics, values and emotion, and because sustainability directly involves our values and ethical concerns, science alone is insufficient to make decisions about sustainability, said Thomas Dietz, assistant vice president for environmental research at Michigan State University. Information plays a much smaller role than we like to think, Dietz explained. In order to truly address big issues like climate change or sustainability, we need to talk at a society-wide scale about our values and reach mutual understanding about the values needed for sustainability. Treating nature as an object, separate and distinct from us, is part of the problem, said Sacha Kagan, sociologist at Leuphana University in Germany. The current environmental crisis results from technological thinking and a fear of complexity that science alone cannot help us with, Kagan said. The objectification of the natural world began during the Age of Enlightenment about 300 years ago. People saw the world and their place in it in very different ways before that, said Robinson. Today, he said, sustainability will not be achieved without “engaging people in numbers and at levels that have never been done before”. New social media tools like Facebook may help with such a monumental task, as “people certainly don’t like to come to public meetings”. Current approaches to help the public understand the implications of climate change, such as graphs or iconic pictures of polar bears, have limitations and are ineffective, said Mike Hulme, a climate scientist at the University of East Anglia in the UK. “We need to find new ways to think about the future under climate change,” said Hulme. Art could be one such approach, suggested Dietz. It would serve not as propaganda but as a creative way to engage our imaginations. “Art can provoke thinking and actually change people’s perceptions of the complex issues associated with sustainability science,” he argued. It is tempting to believe the arts can help by softening and ‘pretty-fying’ the message and bringing it to a wider audience, said award-winning photographer Joe Zammit-Lucia. “We need to go much further to provide a different worldview that can help us re-frame the issues,” said Zammit-Lucia. Society’s choices are driven by people’s cultural perceptions of reality, which in turn are based on their values and their cultural context, he said. While helpful, scientific knowledge and experts are also part of the problem: by dominating the sustainability discourse, they narrow people’s visions of what’s possible. “I also don’t buy in the idea we need to make the right decisions. What we need is the right process, ways in which the public can fully participate,” he concluded.